Having established our place in the community partly by doing what others do, we can then further our individual expression of self. We may look to do this through available social methods - in sport, clubs and music for example - and finding various roles by which to evolve our lives, often employing glamour as an expedient. The skilled individual may have ‘kissed the blarney stone’ and be able to add wit and humour to flattery in order to control others with the smooth talk of a silver tongue. Yet the wiser individual will see the futility in this misuse of glamour. The reality we encounter is built by what we think, say and do – and every little contribution matters. A casual remark here, a white lie there…what does it matter? Well it does matter. Each nuance of what we allow out has its subtle effect – it materialises. Those of us given to poetry and music are asked to honour these powerful devices as they create their effects. Through constancy we can become the embodiment of the ideals that romance points towards. If the soul exults in the beauty of love’s language, then we must be true to that feeling, or we will betray it as do prostitutes and gigolos. As we speak, so we are. What comes out of our mouths is a measure of what comes out of our hearts. If our hearts are to be true, then what we say must be true. Also, we need to remember that the vision we are projecting into the world’s future is not only that which pleases our own desire – it is greater than that because others also participate in its creation. If our soul is to be undeniably present within our created vision, then so must others’ souls. 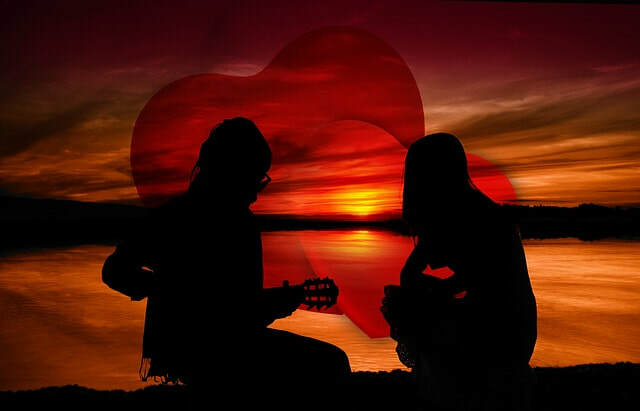 This requires a kind of courtship – soul needs to be reassured, coaxed, serenaded, and won. To achieve this insincerely is a betrayal at the level of soul – and it is difficult to think of a more poignant crime. With constancy, we learn that everything is at hand – that all we desire is already ours, and that no sense of the need for compromise is truly valid.